Muneca, the 51-year-old white-cheeked gibbon, is remembered for her feisty personality, which made her a favorite among animal care staff. WASHINGTON — A white-cheeked gibbon named Muneca died Friday after animal care staff made the decision to humanely euthanize the ape, who was the oldest of her kind in the Smithsonian National Zoo’s species survival program. 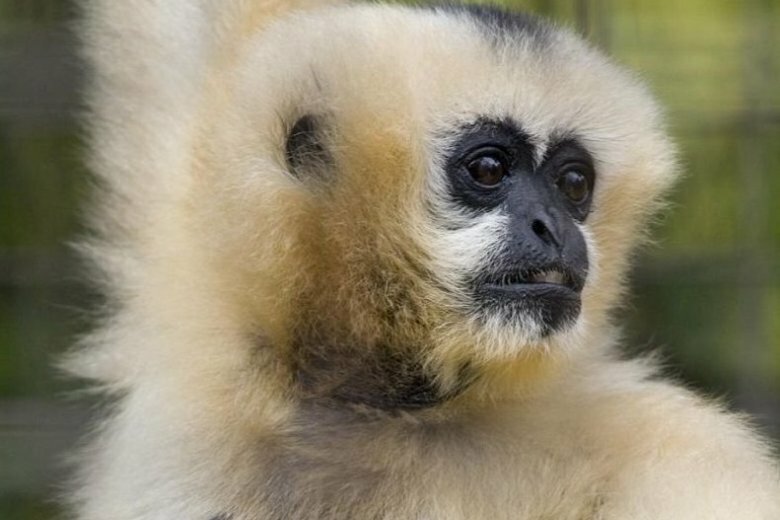 The 51-year-old gibbon had been resting more often than usual, and had decreased mobility and appetite, the zoo said. She had been monitored over several years for progressive spinal disease and arthritis, and veterinarians recently gave her medications to keep her comfortable. But as her quality of life and health continually declined over the past several days, animal care staff decided to humanely euthanize her, the zoo said. Zoo staff are waiting on a final pathology report in the coming weeks for more information. Muneca was a part of the Association of Zoos and Aquariums’ Species Survival Plan, a program that oversees select species in a number of zoos and aquariums that are threatened or endangered and aims to enhance the conservation of those species in the wild. White-cheeked gibbons are considered critically endangered, as their population has declined 80 percent over the past 45 years due to habitat loss and fragmentation. Gibbons’ typical life expectancy is 30 years, but they often live to be 40 years or older in human care. Muneca is remembered for her feisty personality, the zoo said, which made her a favorite among animal care staff. She would often solicit grooming from keepers, and vocally protested when her caretakers would turn their attention away from her. Highly adapted to living in the forest canopy, Muneca also liked to perch on an elevated platform in her outdoor habitat. She would rest her chin on her foot as she watched visitors walk by her exhibit, the zoo said. Muneca served as an educational ambassador for her species for 19 years, teaching primate staff and zoo-goers about the behavior and social nature of white-cheeked gibbons. Gibbons are native to China, Vietnam and Laos. Muneca was born in Cambodia around 1967, and came to the Smithsonian National Zoo from the Maryland Zoo in 1999. She was a companion to a male white-cheeked gibbon named Joe until he died in 2009. Visitors can still see and hear the apes — best known for their loud, complex vocalization — at Gibbon Ridge, home to a male white-cheeked gibbon named Sidney and a pair of siamang gibbons named Bradley and Ronnie.